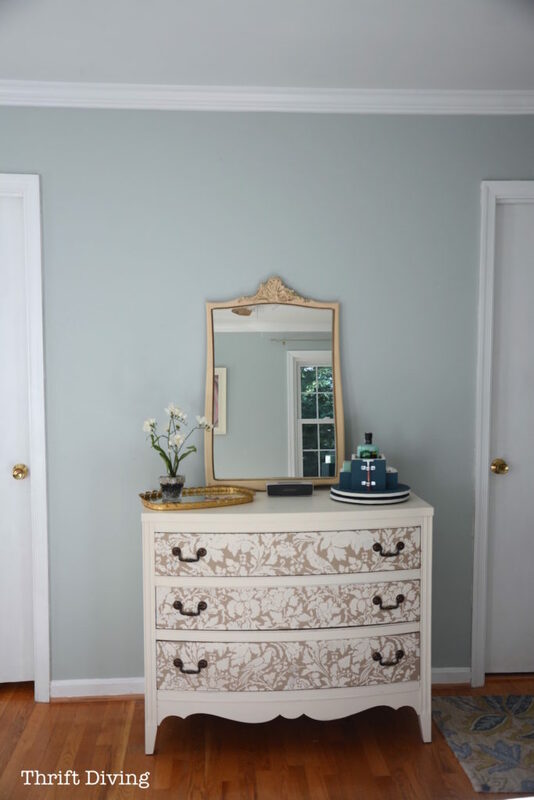 Sherwin Williams Sea Salt and Rainwashed: The Most Pretty Colors! 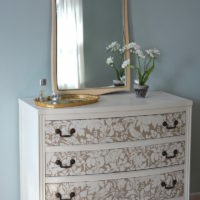 You are here: Home / Room Makeovers / Bedrooms / Sherwin Williams Sea Salt and Rainwashed: Prettiest Colors For Your Home! 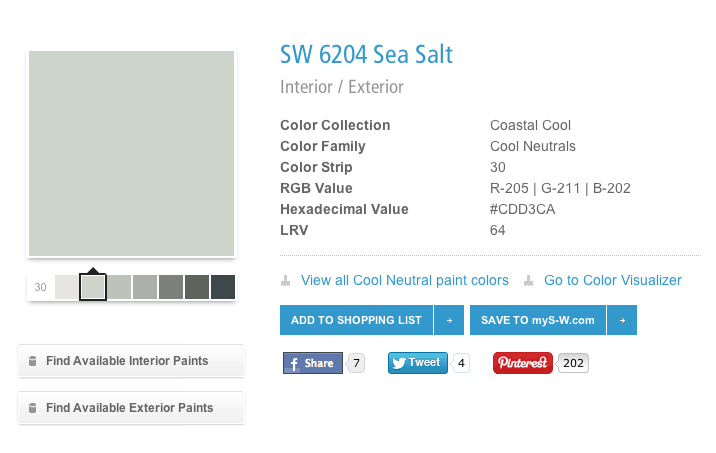 Sherwin Williams Sea Salt and Rainwashed: Prettiest Colors For Your Home! 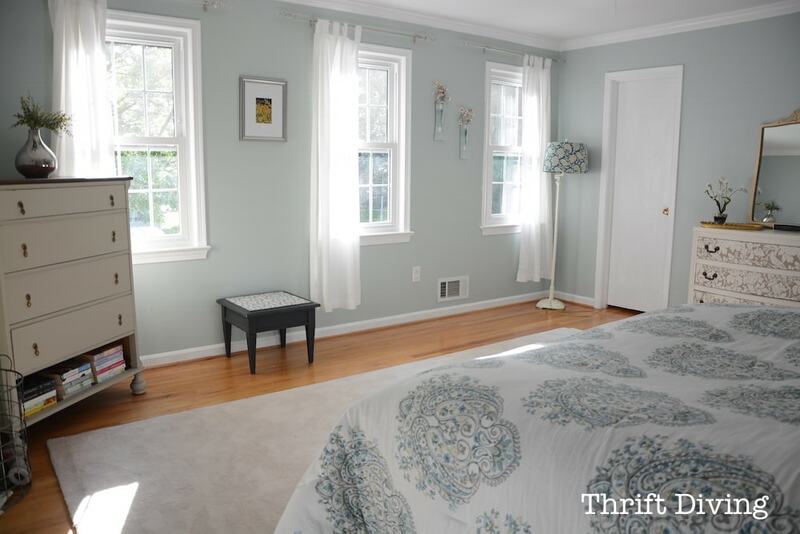 Don’t you hate buying paint and getting home and wishing you’d chosen another color? 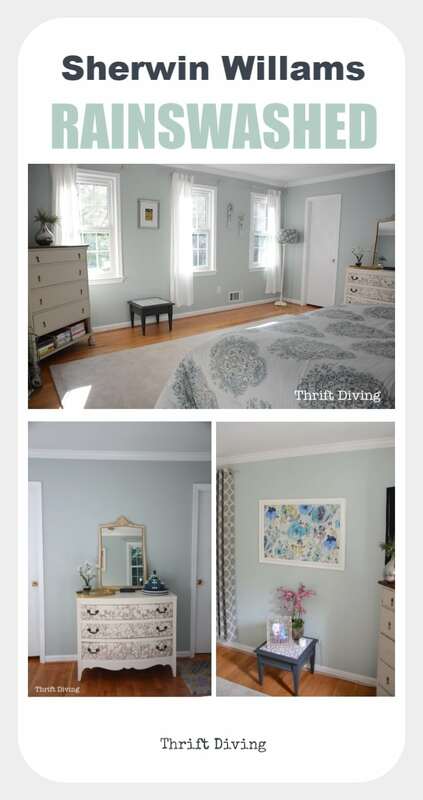 But I guarantee that’s not going to happen this time because, hands down, Sherwin Williams Rainwashed and Sea Salt are two of the prettiest, softest colors that never fail to disappoint. Hopefully, stumbling upon these pics will help you to make a decision to use them, because they’re that fabulous! Rainwashed is probably my most favorite color of all times. 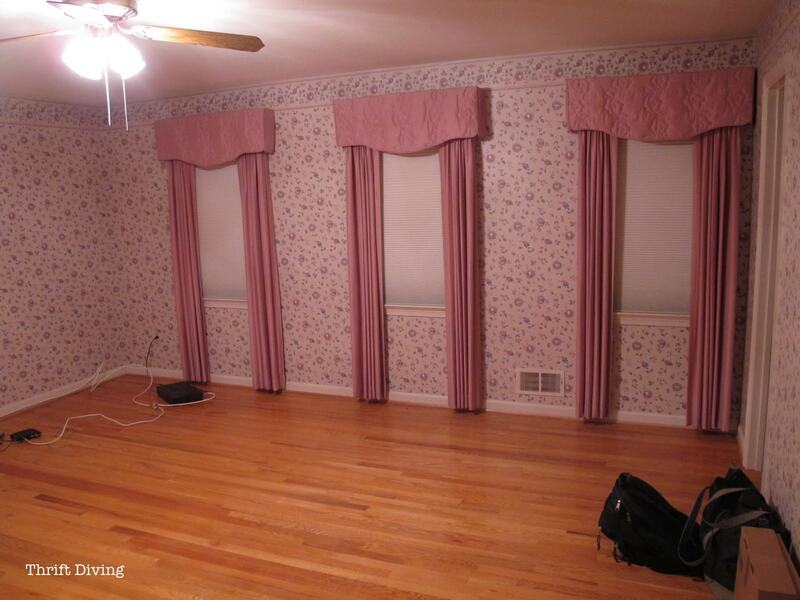 When we moved into this old 1973 house in 2010, I couldn’t envision what I wanted my bedroom to look like. 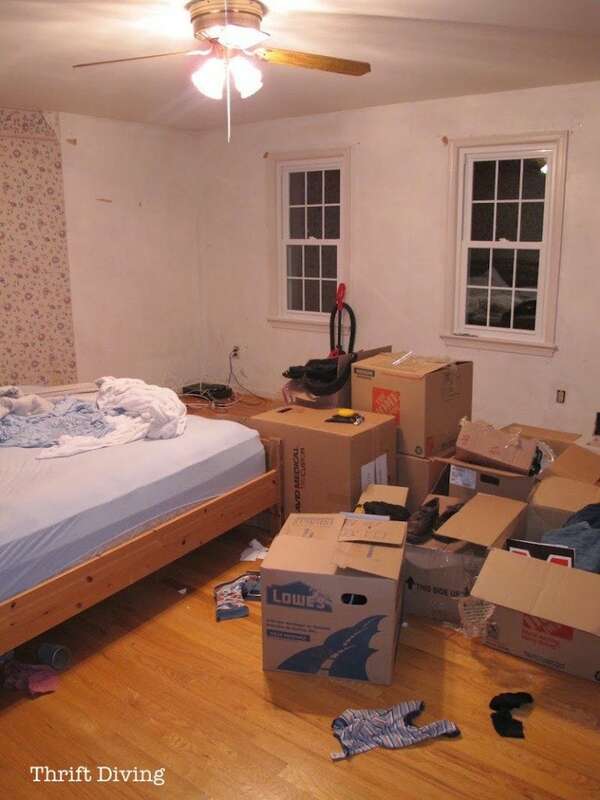 Our old bedroom was a soft buttery yellow with deep red accents. A little too “warm” for my taste in this “new” old house. Instead, I wanted something cool, soft, and felt like an oasis when I walked in! This is what my bedroom looked liked prior to its total overhaul, funky 70’s quilted drapes and all! 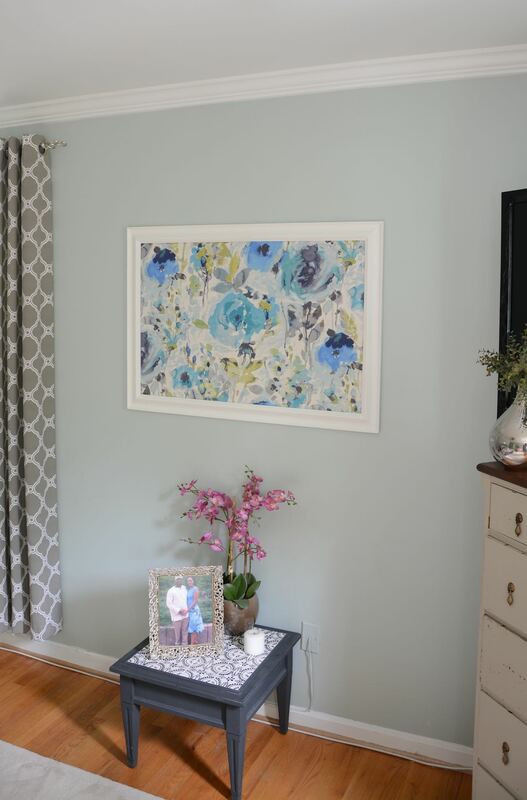 Once the wallpaper was gone…once I added the DIY crown molding…what resulted was this soft, prettiness! This is Sherwin Williams Rainwashed. AH-MAY-ZING…… What’s crazy is that in the years since moving in, not once have I ever felt like re-painting over the Rainwashed. Other rooms in my hous, however, have been painted over at last once or twice. But not this room. The color is too divine! Here’s another shot of Rainwashed in my master bedroom. 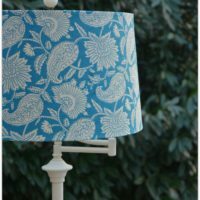 Isn’t it such a light shade of turquoise blue-green? Everything you see in the image below was thrifted or made my hand! DIY lazy susan tutorial for toiletries. I had found this frame at the thrift store and figured out how to frame fabric with a picture frame. I love how it looks on my master bedroom wall with the Rainwashed. It’s funny, but when you look at it on a color card, it looks nothing like what it does on your walls, depending on the time of day. It’s like the magician of paint colors. 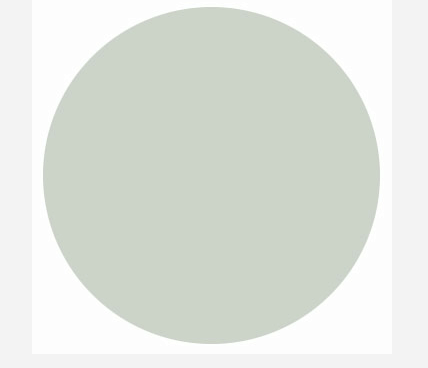 According to this swatch, it’s in the green family, but sorry–my walls say something different! When I walk into my bedroom, it feels like an oasis! 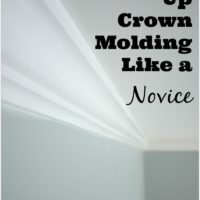 I installed the crown molding myself (I wrote a 52-page step-by-step guide on how to put up your own crown molding like a novice. Download a copy of the ebook). 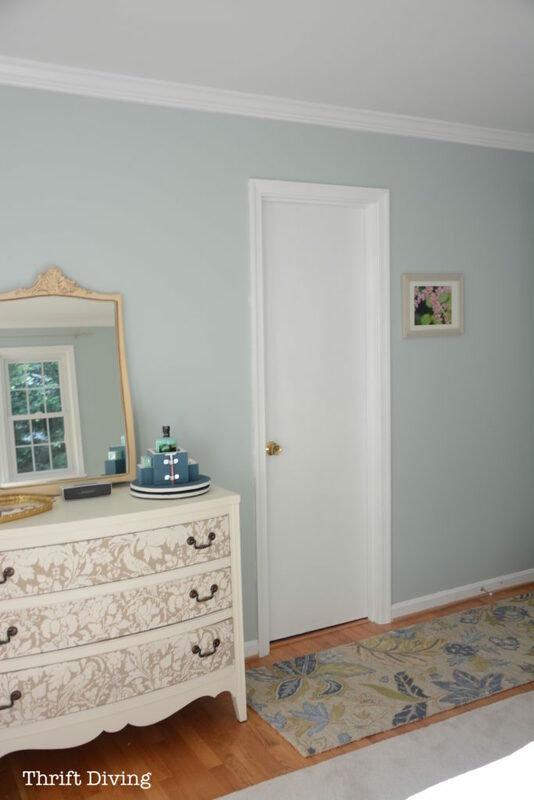 Sherwin Williams Sea Salt is another paint color that is a bit of a magician when on the walls. What do you think? It looks like a very light seafoam color. Excuse the horrible pics :). These are old cell phone pics! 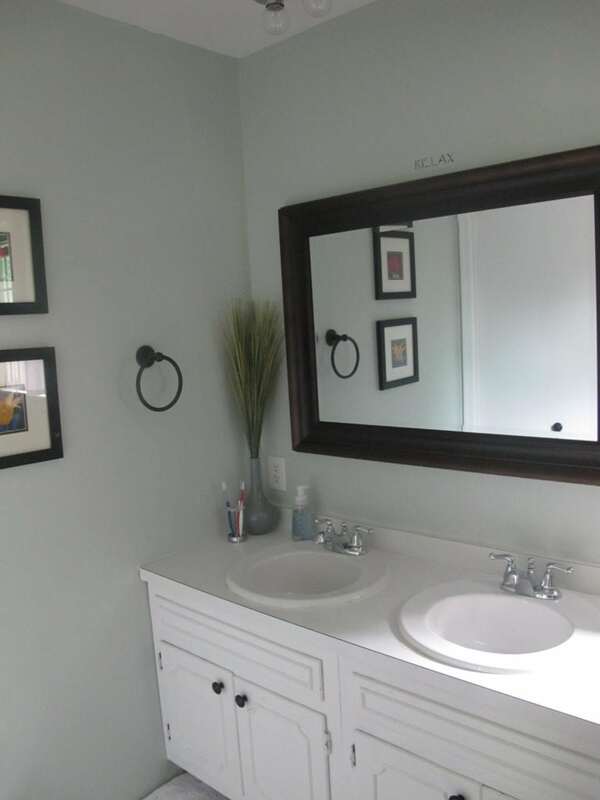 As much as I loved Sherwin Williams Sea Salt, later I wanted a change for my bathroom. 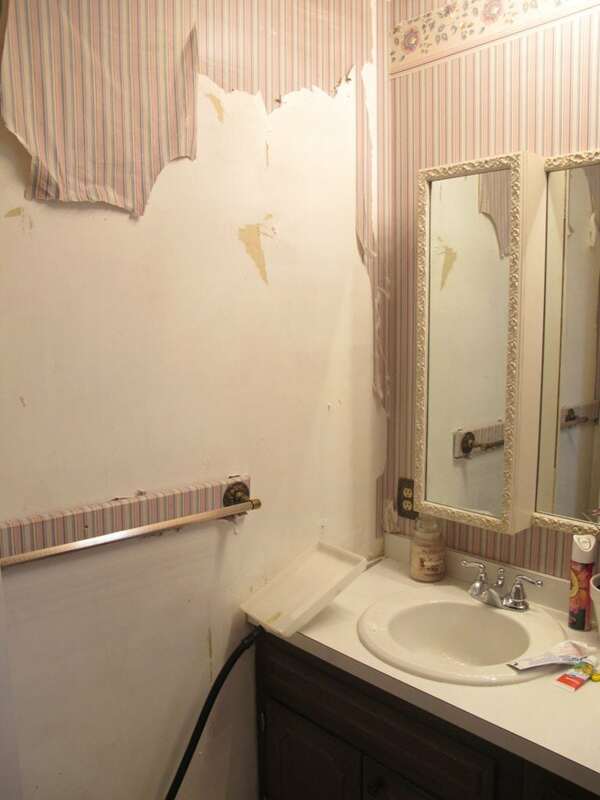 So I’ve since done a master bathroom makeover and it now looks like this! 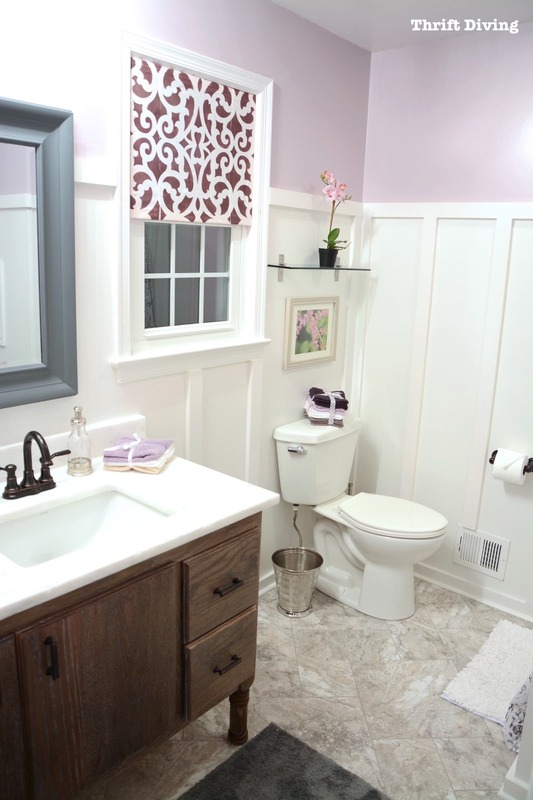 RELATED: See how to make this master bathroom makeover, which doesn’t require hardware to stay in place, and you can move it up and down! 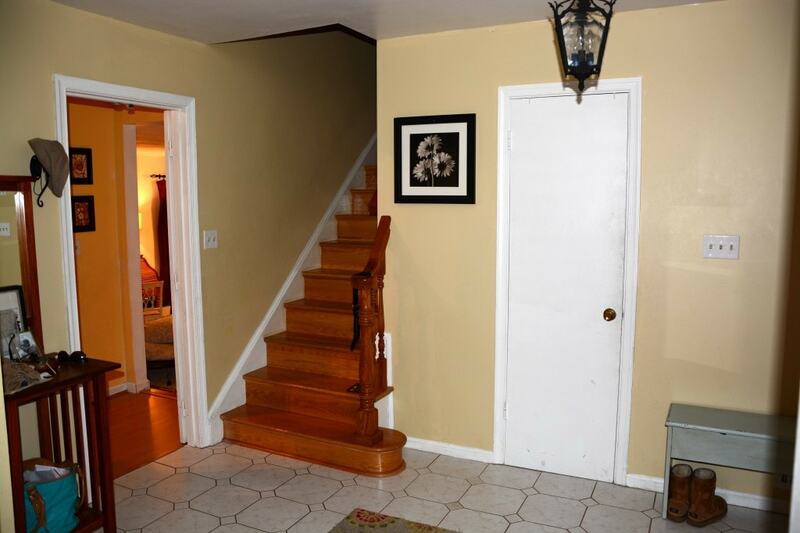 Anyhow, back to my foyer…. 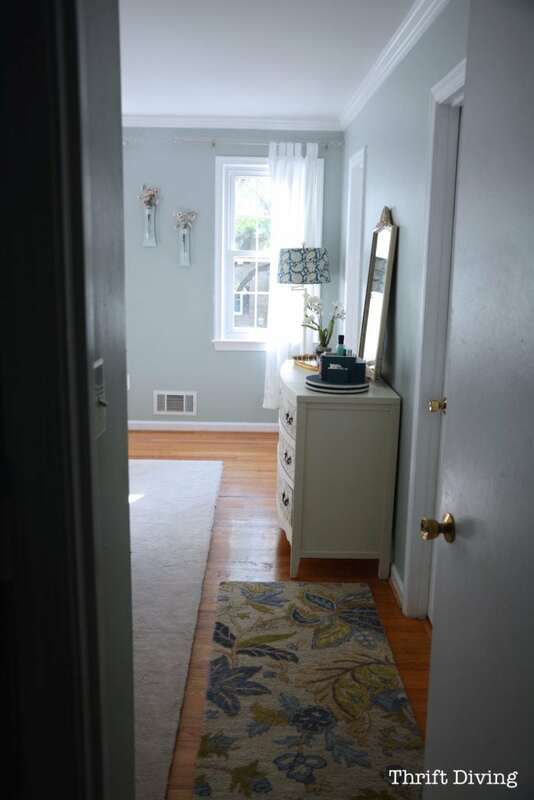 In my foyer, Sherwin Williams Sea Salt looks more light-bluish/turquoise in the afternoon sun! 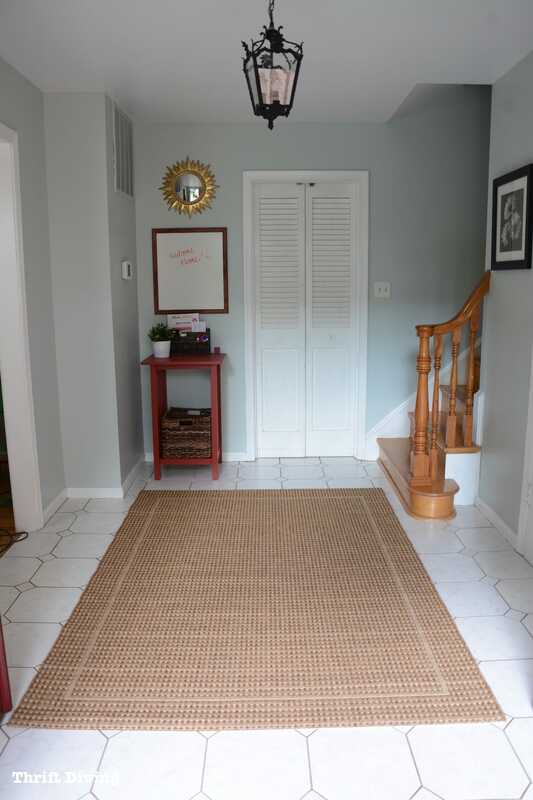 In my foyer (click here to watch how I touched up the Sea Salt for an entryway refresh makeover), it sometimes looks a shade of blue, depending on the light. The color is very soothing and I can’t believe I ever chose a depressing, dark yellow. You probably found this blog post because you’re researching Rainwashed or Sea Salt. Don’t worry. They’re great colors that make the walls feel airy and pretty. Sometimes they look greenish. Sometimes they look blue. Maybe turquoise. And sometimes you do feel nervous when you’re about to paint and you’re not quite sure what you’re going to get. But I love these colors so much; they never disappoint. Even my kids love them ;). Want to save this blog post? 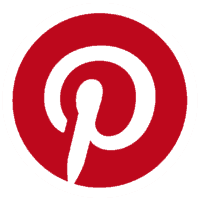 Just click here to SAVE it on Pinterest! If you want to check out Sea Salt in action, watch my video, where I’m demoing the Home Right EZ Twist paint stick. Maybe you can get a hint of what the paint looks like. 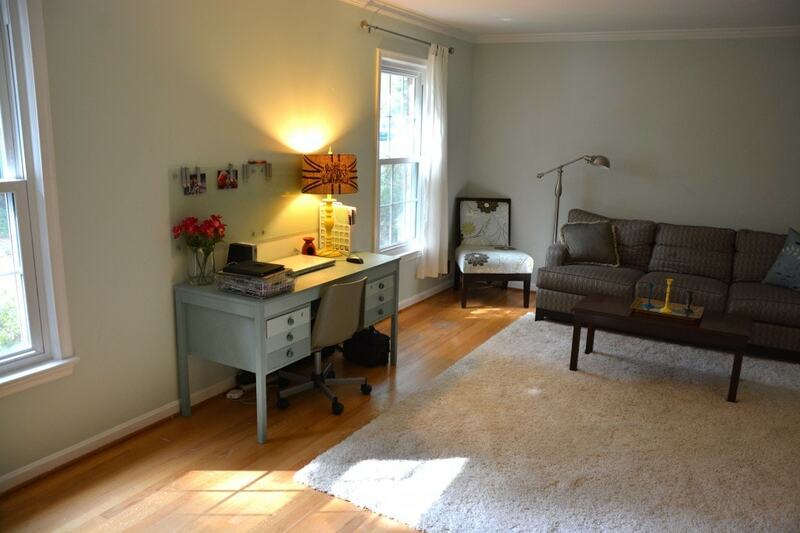 Same “yuck” beige in the reading room…. 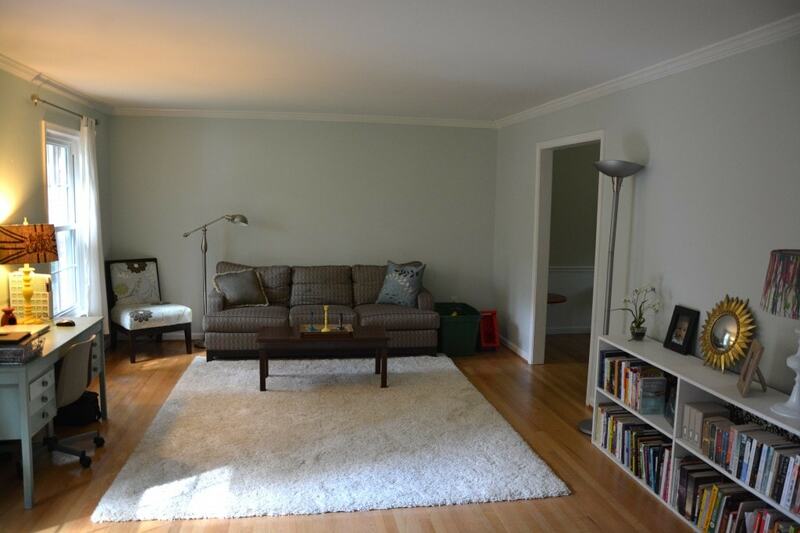 A gentle hint of greenish turquoise paint on the walls. Ahhhh….LOVE IT! 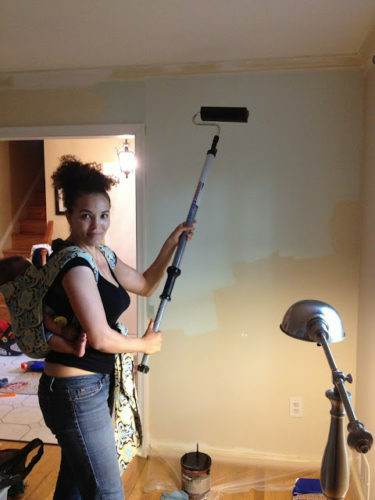 Psst…Check out these other projects in my master bedroom! 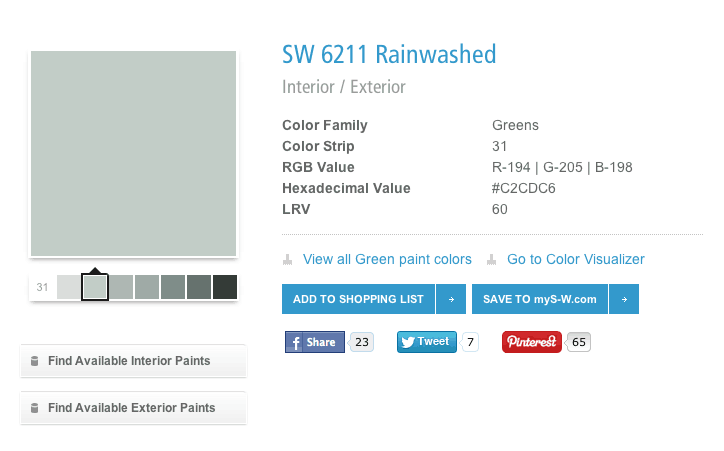 Have you used Sherwin Williams Rainwashed or Sea Salt in your house? What did you think? Leave a comment below and let me know! 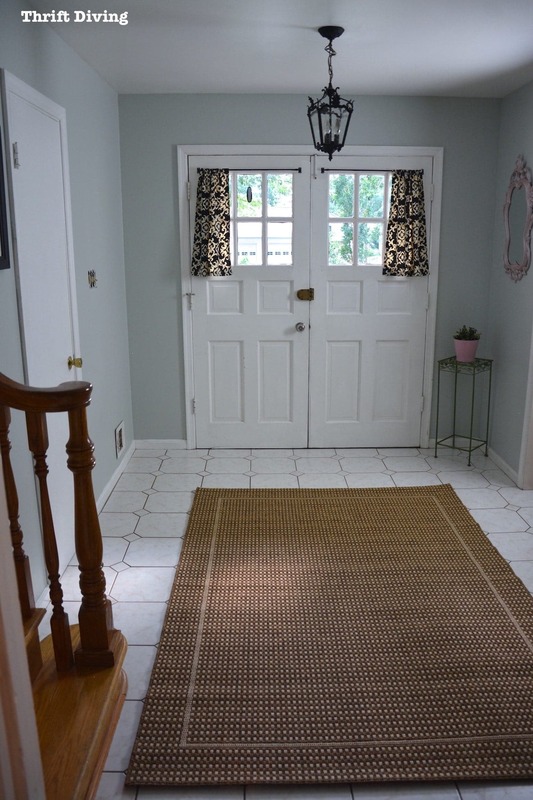 I decided on Rainwashed due to your blog and video for my master bedroom. It is very gorgeous and soothing! 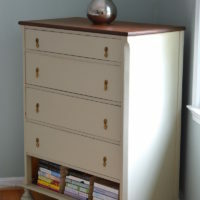 I am going to use it in my master bath as well – was going to do sea salt in there, but love the Rainwashed color so much! 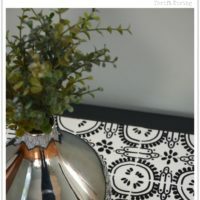 I LOVE your blog and I love your paint colors! You are very inspiring! Thank you! I have honey oak cabinets in my kitchen. Should I use rainwash or sea salt on my walls?